The Looxcie LX1 hit with the scene to a skeptical crowd — Wha, you put a camera in a Bluetooth headset? Why? 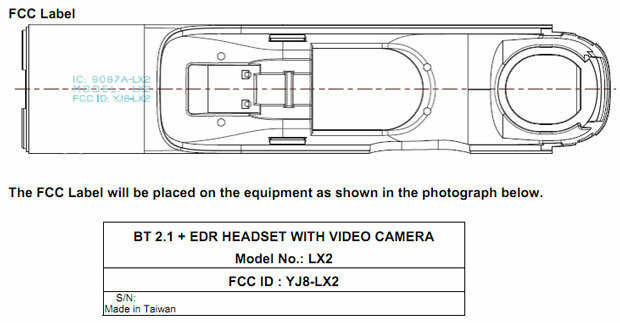 But it seems things must have went well for the company, as what appears to be the next generation camera just hit the FCC. The LX2, as it’s called in the FCC docs, seems be a slightly redesigned unit, and appears to have an integrated USB port. Despite being labeled a Bluetooth 2.1 headset, it actually doesn’t look like a headset at all — more like a desktop-type unit. Presumably it will still work similarly to the first generation by streaming video through a smartphone’s data connection. That’s where the fun ends, though. The FCC docs are bound by a confidentiality agreement so the user manual along with internal and external photos are hidden from the public’s view for 180 days, which also sort of means the LX2 will be announced before then.